"Lot 1" 21 Old Oak Have Finished Framing Ready To Be Customized To Your Own Desire. Roof Top Terrace Can Come With Bbq And Sink For Summer Leisure. Balcony On Third Floor. Development Charges Paid, No Trees To Cut Down. Sewer/Water Supply Already Done. Temp Electrical Service Installed. We have mapped out for you by price range The Kingsway neighbourhood community by MLS listings on Realtor.ca from our Toronto Real Estate Board (TREB). Let us know if it is helping you find what you are looking for in The Kingsway. 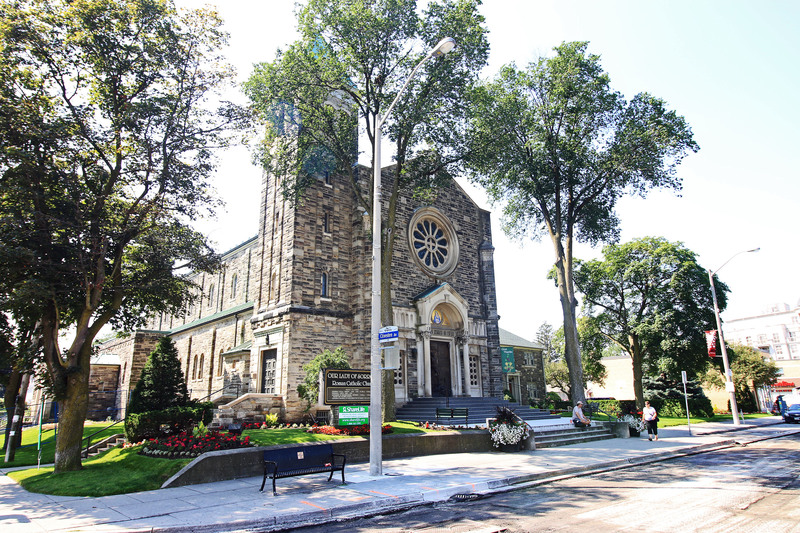 Described as "a little bit of England far from England," the Kingsway is Toronto's premier neighbourhood in the West End. An exclusive English style suburb tucked in the forest of the Humber River Valley, The Kingsway homes are generously designed with classical Victorian and Edwardian architecture. Tree-lined streets, detailed brick patterns, and wrought iron street lamps distinguish the over 75 year-old neighbourhood. Residents of The Kingsway have their own shopping district along Bloor Street West, with architecture and decor similar to that of the residential area. Chic restaurants and cafes, specialty shops, salons, and chain stores, are all available within a short walking distance. Planned and maintained as a neighbourhood for families, The Kingsway boasts numerous facilities ideal for any activity, including parks, a library, and an arena offering organized ice hockey and skating leagues. Other recreational facilities include the Etobicoke Memorial Pool and Health Club, the Etobicoke Lawn Bowling Club, and The Kingsway movie theatre. The Kingsway Business Association KBIA has transformed its traffic and added a fresher variety of food establishments in the form of great restaurants, Fruit and veg, Flourists. Of course two Starbucks, the LCBO and a new improved Crooked Cue are bringing local traffic in greater numbers complimenting the neighbourhood in a big way. Its proximity to Downtown , The Subway, The Buses make it a great hub to live in. The home styles of the Kingsway are changing along with the times but the history and classic timeless facades of charm everyone who walks the walk, cycles , jogs and Sunday drives marvel at. Schools of The Kingsway include the private Kingsway Montessori, Our Lady of Sorrows separate school, Lambton-Kingsway Public School, and Etobicoke C.I. Public High School. For the commuter, The Kingsway is located within minutes of highway access, downtown Toronto, public transportation, and Pearson International Airport. The Kingsway home prices are the highest most sought after luxury homes in Etobicoke mostly due to the old style architecture and proximity to the Subway. They generally start over $1 Million and up and there only drawback in comparison with other areas is their lot sizes tend to be smaller. Our closest Remax office to The Kingsway is at 4242 Dundas Street West in the Brunos Plaza east of Royal york Rd. Come and meet with us there! Here is your Toronto Life Neighbourhood Ranking.